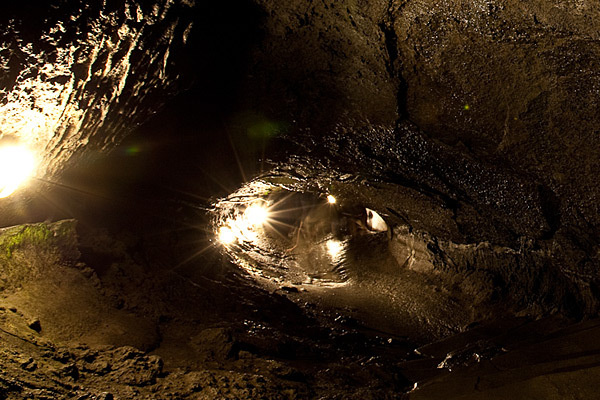 This is a pit type cave that is rich in natural undulations, providing an adventure world full of curiosity. 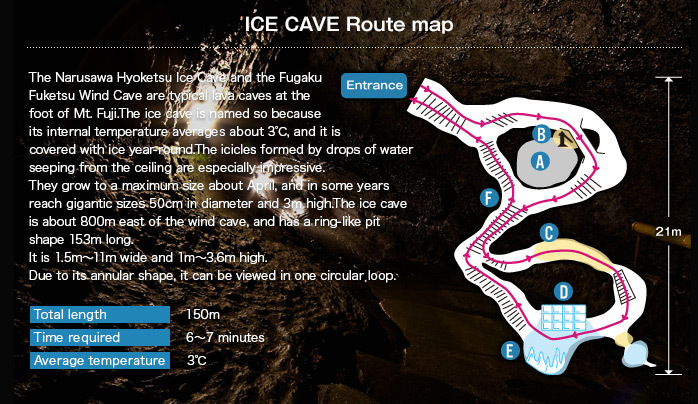 Since the cave is situated in a ring-like manner, visitors can view its various features by making one circular loop. 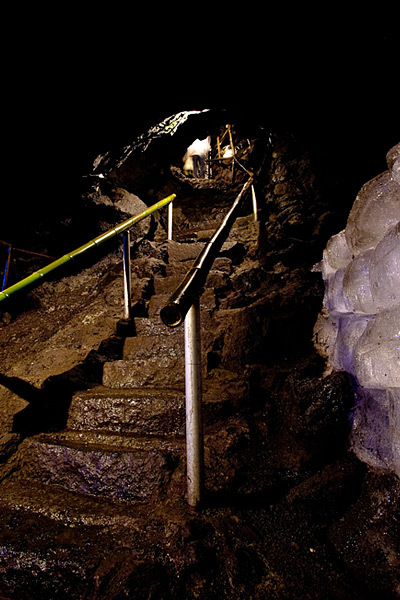 The Narusawa Hyoketsu Ice Cave is located at the east entrance to the Aokigahara Jukai "sea of trees" forest, and is regarded as one of the tourist spots within the Fuji Five Lakes area that can be visited throughout the year. Over 1150 years ago, during year 6 of the Jogan era (864 a.d.), Nagaoyama, a flank volcano of Mt. Fuji erupted. 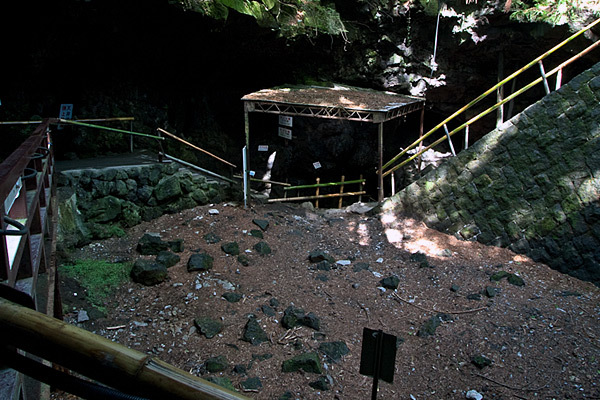 The red hot lava flow (Aokigahara Maruo) descended between ancient parasitic volcanoes, creating this two-tunnel type cave. After being designated by the Ministry of Education as a natural monument in 1929, it was introduced to the world as a geological wonder. 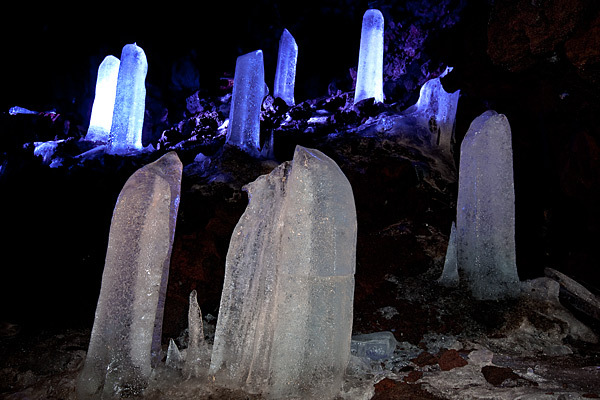 By the way, the tree-type lava bed is said to have the most spiracles in the world. These remnants were used to preserve silkworm cocoons and seeds. To prevent growth of the cocoons and to preserve the quality of seeds and promote budding, they were stored in a refrigerated environment. 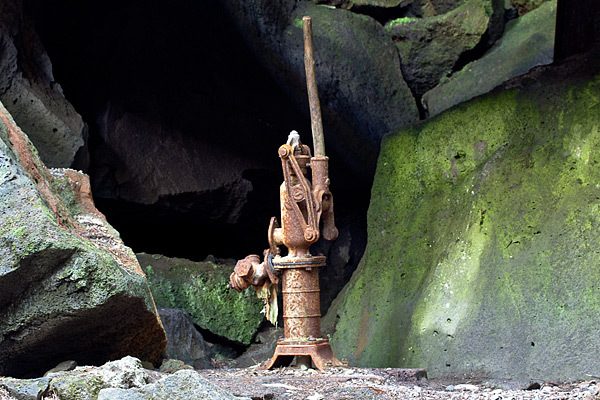 This well was actually used before water service came into being. Remnants of huge trees that grew 1100 years ago. The ceiling is 91cm high, and you can walk through the tunnel sideways. This is a reproduction of an ice storage unit. 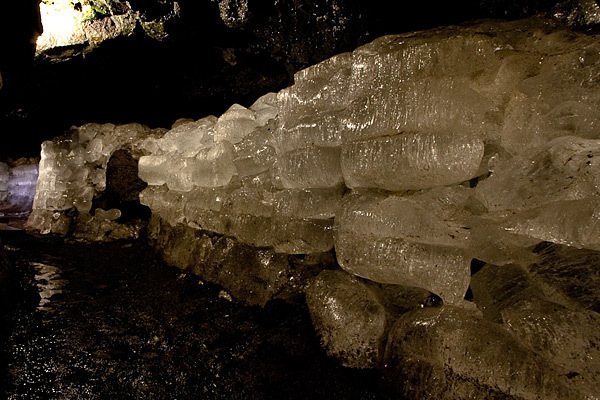 The wall was formed by piling up blocks of ice. It was used before refrigerators came into being. Water droplets seeping from the ceiling freeze into icicles, which pile up into ice pillars. They are a beautiful, natural work of art. Natural ice forms during winter, and can be seen until about the beginning of the fall season. Please climb slowly, as the steps are wet and slippery. Trying to climb it fast will quickly wear you out. Use caution when climbing.